For obvious reasons, we can't repeat the old adage about what you should do when situations get sticky word-for-word. What we can tell you is that people often warn you to get out your boots when it happens. We'd like to suggest this pair of KEEN Utility 1007043 Da ... (see full details) (see specifications) #KEN1007043. For obvious reasons, we can't repeat the old adage about what you should do when situations get sticky word-for-word. What we can tell you is that people often warn you to get out your boots when it happens. We'd like to suggest this pair of KEEN Utility 1007043 Dallas wellington steel toe waterproof boots. No matter how bad conditions may be, these boots can handle it. The brown, laceless design is a classic Wellington style that's been finished with a cowboy cut top. Use the pull-on straps to step right inside, and you're ready to go. The waterproof, full-grain leather is flexible and soft around feet, but it's tough enough to block moisture so you stay dry. The KEEN Dry system surrounds feet in a waterproof membrane that keeps wetness out but won't block air. The breathable membranes let heat escape and air flow get inside, but water won't. Dri-Lex moisture-wicking lining pulls sweat away from skin so you stay dry and comfortable even in hot conditions. Shock-absorbent rubber outsoles support steps comfortably. The non-marking rubber is oil-resistant and tough against corrosion. The slip-resistant tread gives you traction on a variety of floors. Steel toe caps protect the tips of your feet from harmful, dangerous falling objects and impact. These men's KEEN Utility steel toe wellingtons are made to handle anything, so you can, too. This style number was previously listed as U900 32. This is the third pair of these boots and I love these boots. I work 10 to 12 hours a day on my feet and my feet never hurt in these boots. I will buy again. These boys last twice as long as the Irish setters I bought before. Thanks Working Person! 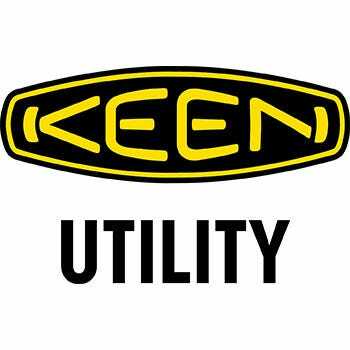 KEEN Utility 1007043 Men's Dallas Steel Toe Wellington Boots is being added to your cart.